For the last few years Paradise Springs has kinda saved me from insanity during the long cold midwest winters. If winter temperatures are mild enough (around 20-30 degres fahrenheit) there are many places around the great lakes to chase steelhead and lake-run trout. If winters are like this one options dwindle down to mostly ice fishing. 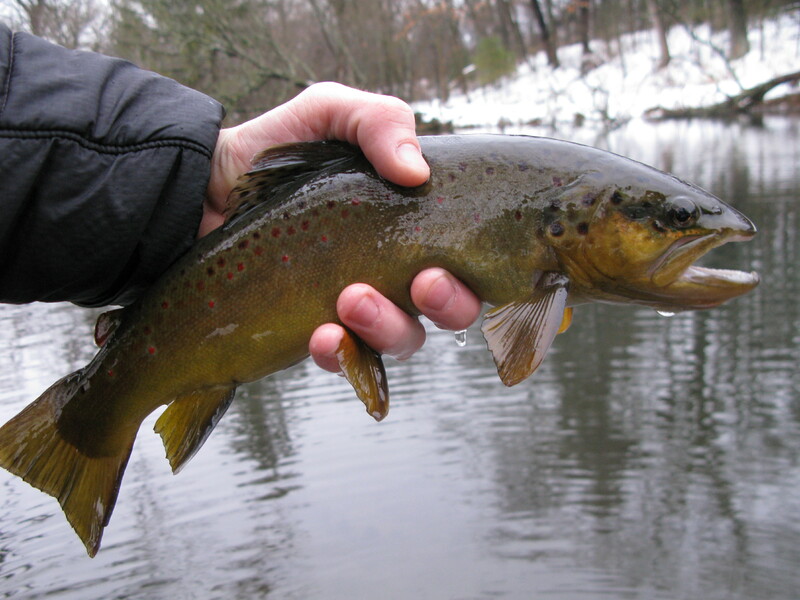 Paradise Springs is a spring fed pond in the Kettle Moraine State Forest that does not freeze even in the coldest winters, providing anglers with a chance to catch wild and stocked trout in open water after the first of Janurary. The first chance I got where temps were above freezing Andrew and I headed up for a trout fix. 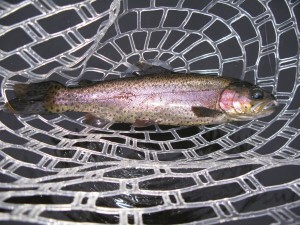 I got there and within 45 min put about 6 or 7 trout in the net. 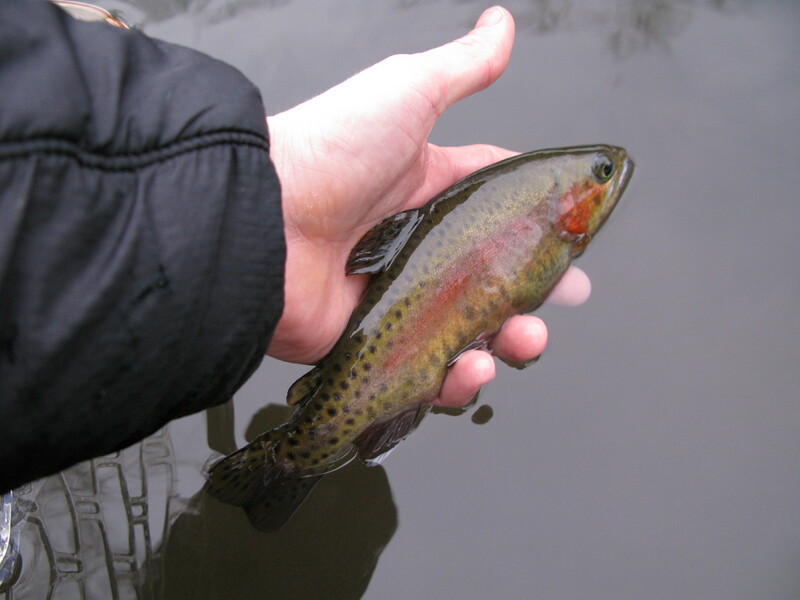 First a beautiful brookie, than a rainbow, than a brown. First three fish and hit the slam. 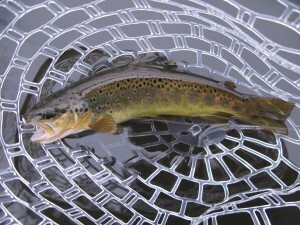 Then I continued to catch a few more browns and all of the sudden like someone hit a switch the whole pond shut off. Not another bite for the day. 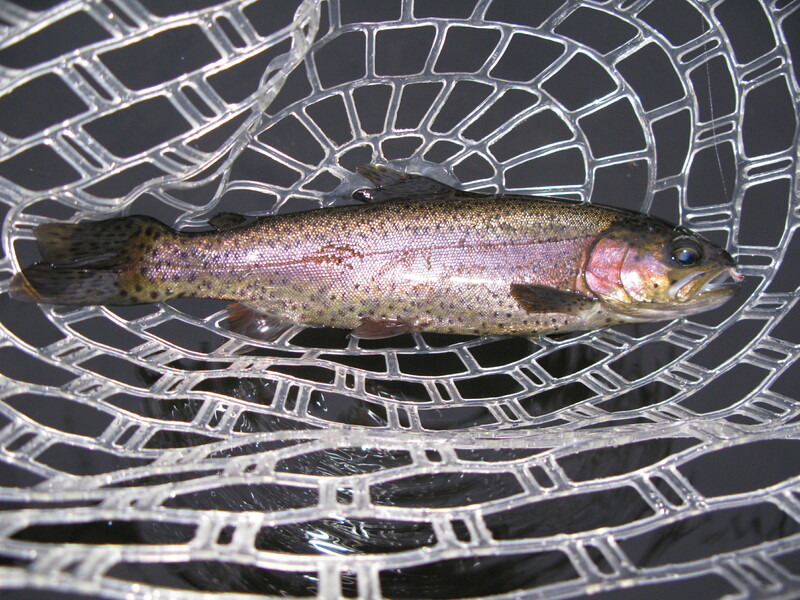 I left satisfied and am already dreaming about spring steelhead and the early trout season. awe, man. the thought of hooking up with those fish in open water makes my knees tremble in the dead of this winter. thanks for sending. i totally forgot about paradise springs although i’ve never been. can you share what they bit on? i’ve heard fishing is tough there and 50 foot leaders are recommended!